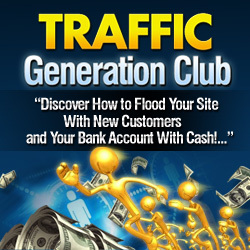 You are here: Home / Make Money Online / Content: How Can it Help You Generate Traffic? The term “content” when used by Internet Marketers refers to written words, audios or videos. Incorporating content in your website can help you generate more traffic in a number of ways. How Does Content Help You Get More Traffic? Search engines love website that offer valuable content. No matter what type of site you have, you can leverage this to increase the traffic to your website. Whether you have an online store, a forum, or a blog, you can add content to generate traffic. Also, visitors just plain love sites that offer free content. Personally, if I go to a website that is just a storefront, I may be hesitant to buy. However, if I come in and click around a bit and get to know more about the owners and their products, I may just pull out my wallet. Plus, content makes websites “sticky”. This means that, if a visitor comes to a website and finds good information (in any format), they are more likely to return than if they just land on a sales page. How can you Add Content to your Website? Add articles to your website. You can use a mix of your own unique content, free reprint articles and Private Label Rights (PLR) articles. Add a blog. If you don’t want to add articles directly to your site, then create a blog where you can talk about your products or services and list special offers. You can add articles to your blog, or simply chat and showcase specials and uses for your products and services. Establish yourself as an expert and people will come back for more. Tweak your product descriptions. This is a simple way to increase the content on your website (and, possibly, increase sales). Just add more text to your product descriptions in your storefront – be more descriptive, and you’ll be providing more content. Ask for comments and feedback. No matter what kind of website you have, incorporating comments from others can help make your website more valuable. Add testimonials. Simple and effective, testimonials not only make your site appear more trustworthy, but they also add content for search engines. Archive your newsletters. If you publish a weekly newsletter, archive your previous issues on your website. Add audio. It’s simple and easy to record and publish audio online now, with services that do everything for you. Interview someone or have someone interview you. Include your interviews on your website for added credibility and information for your visitors. Frequently Asked Questions. Keep track of the customer service questions you receive, and answer them on a FAQ page. You’ll add content and spend less time answering repeat questions from your potential clients.